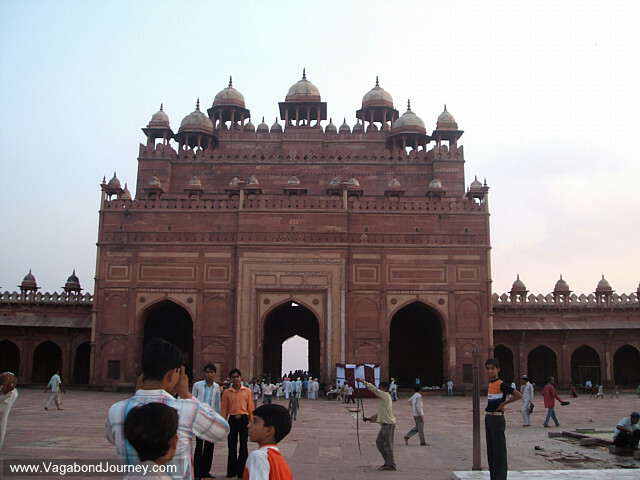 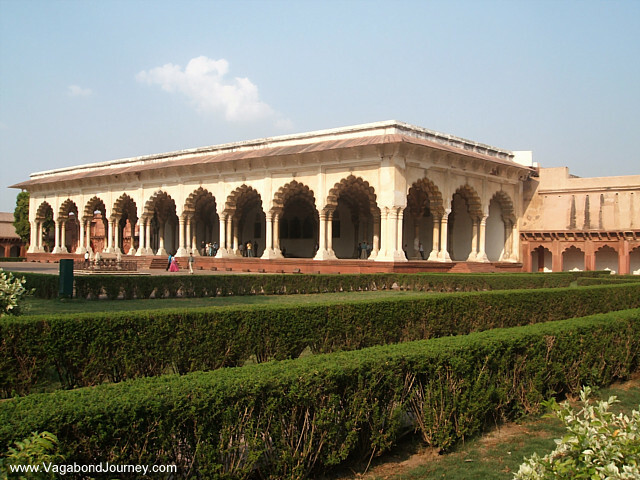 Entrance to the Fatehpur Sikri in Agra, India. 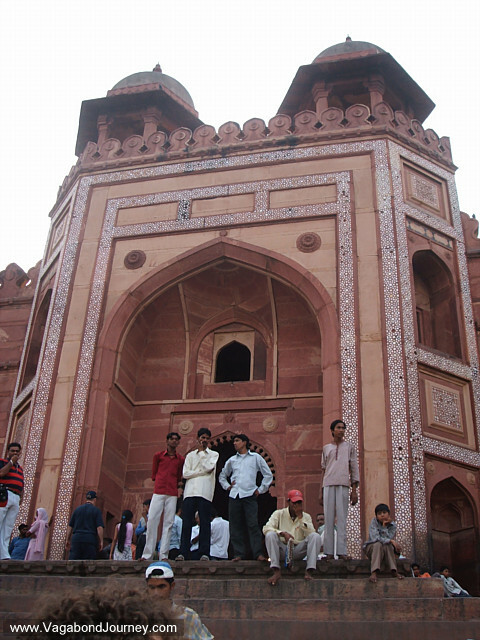 Indian men sitting on steps of Fatepur Sikri. 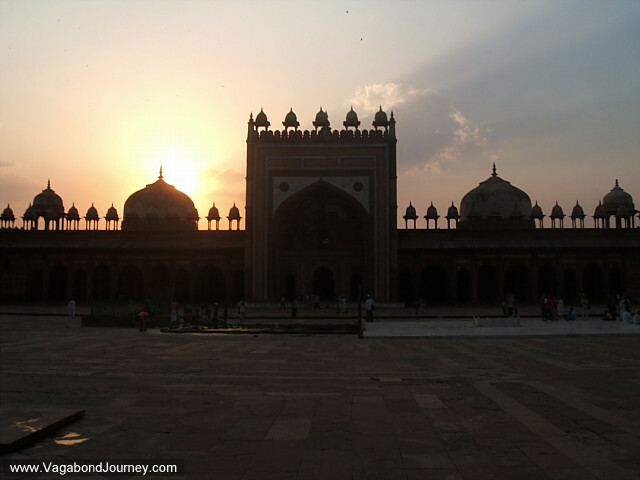 Sunset behind the gate of the Fatehpur Sikri in Agra, India. 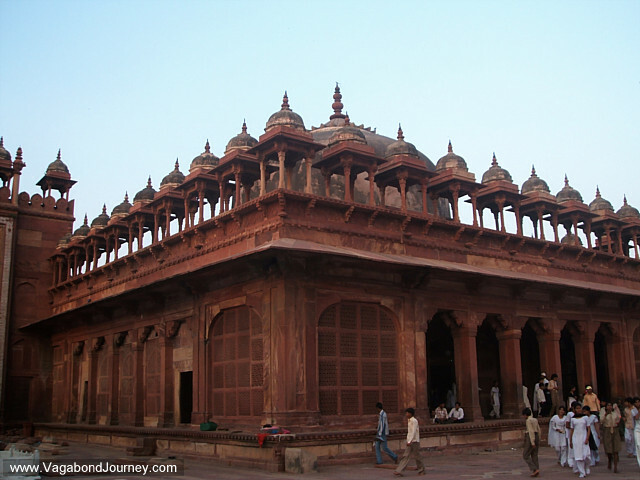 Walls of the Fathepur Sikri. 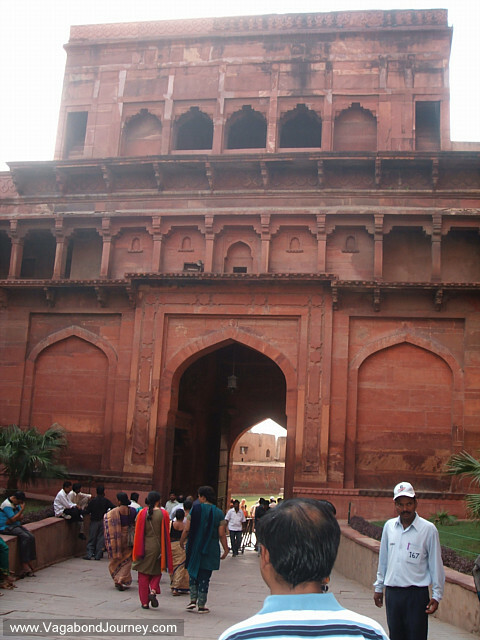 Entrance gate of the Fathepur Sikri in Agra. 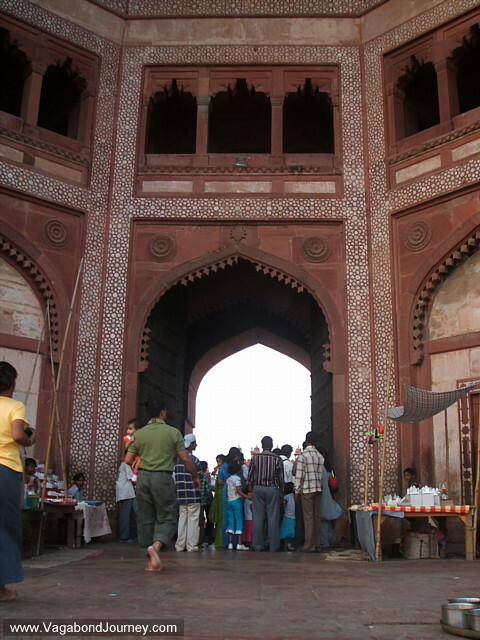 People crowd through the arch of the Fathepur Sikri. 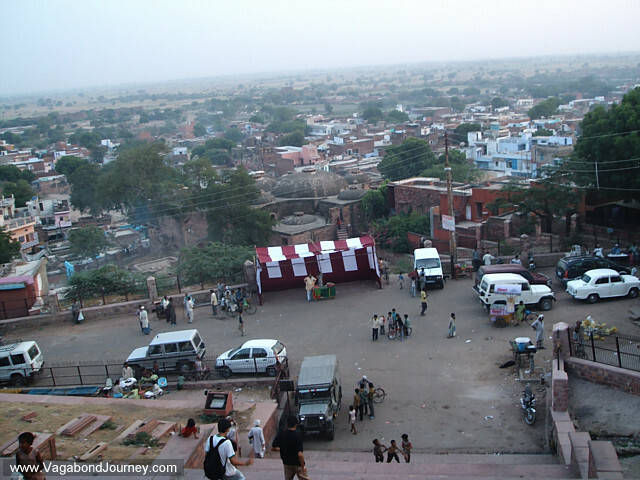 Beggars and sellers of snack and water mingling at the bottom of the steps of the Fatehpur Sikri in India. 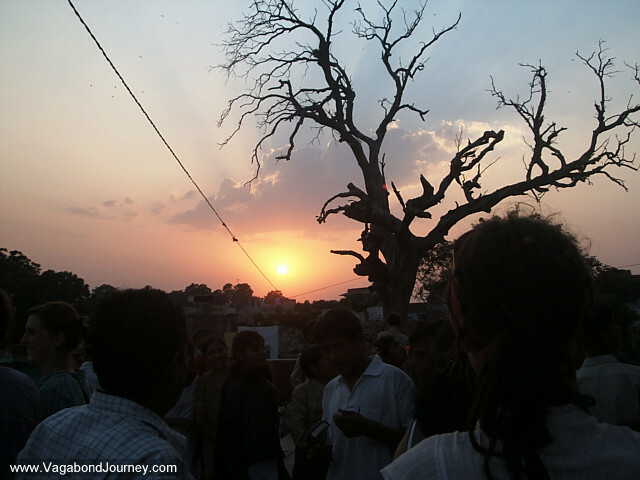 Sun setting behind a gnarled tree in India. 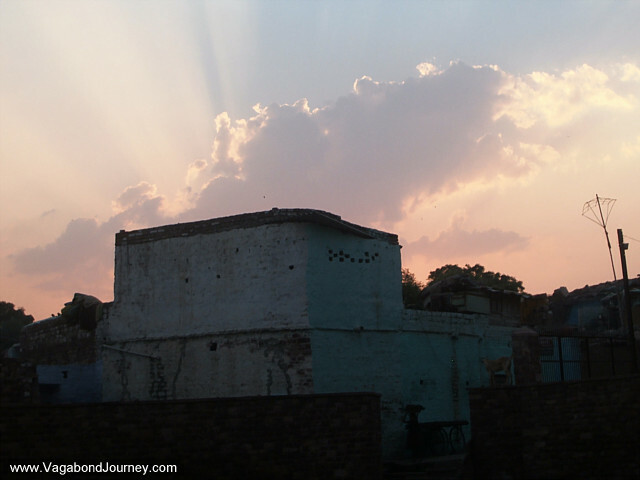 Sunset behind a monument in Agra, India.